Some qualifying events have multiple options, but you only need to supply one document. All letters and/or documents should be signed and dated. In some cases, it is difficult to provide the required documentation (e.g you were / are subletting and do not have a lease or utility bill in your name, etc.). In these circumstances, we can help you prepare an affidavit that might be sufficient for your application depending on the insurance company's guidelines. 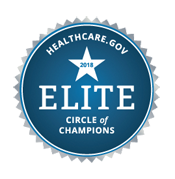 All on-exchange plans purchased through healthcare.gov require documentation of the qualifying event during the Special Enrollment Period. For off-exchange plans, some insurance companies do not require proof of a qualifying event. You moved to a new primary residence within the last 60 days. Acceptable documents include government correspondence, utility bills, rental or mortgage documents, and homeowner's insurance. They must include your new address and date of the move. 2. You had health coverage at least one day during the 60 days before your move. You had health coverage at least one day during the 60 days before your move. Click on your name in the top right of the screen and select “My applications & coverage” from the dropdown. Select the application with the data matching issue under "Your existing applications." Use the menu on the left side of your screen to click on "Application details." For each recent life event you need to prove, select the green “Upload documents” or “Upload more documents." If there’s more than one, work on them one at a time. After selecting "Upload documents" or "Upload more documents," choose a document type from the drop-down list. Files must be in one of these formats: .pdf, .jpeg, .jpg, .gif, .xml, .png, .tiff, or .bmp, and can’t be bigger than 10MB. The file name can’t include special characters like / \ : * ? “ < > |. Locate the document on your computer, select the document, and click "Upload." When the upload is successful, a checkmark appears next to the file name. When the document has been uploaded successfully, "Submitted" appears next to the issue on the "Application details" tab.